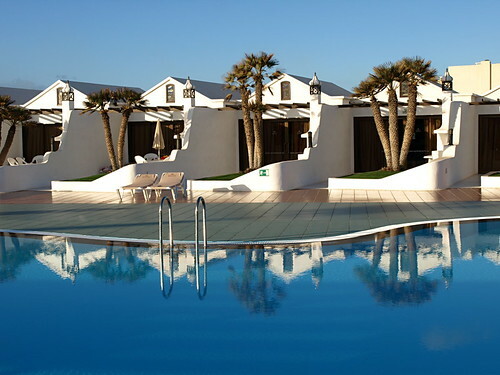 My opinion: A brilliant family holiday resort in beautiful surroundings with spacious accommodation, friendly staff and loads of facilities set in Lanzarote‘s lovely resort of Costa Teguise. I’ve stayed at Sands Beach Resort three times now. I’ve been in a beach front villa, which is idyllic and perfect for families because you’re so close to the beach that it becomes an extension of your patio, and I’ve stayed in a ground floor plaza apartment and an upper floor plaza apartment with balcony and they’ve all been excellent. 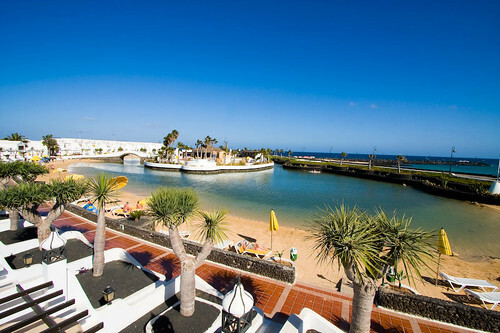 Location, location: On its own natural, salt water lagoon, alongside the quiet, golden sand beach of Los Charcos at the edge of the popular family resort of Costa Teguise. A 15 minute leisurely stroll along the seafront, well the beaches really, takes you to the centre of Costa Teguise with its popular windsurfers’ beach of Playa de Las Cucharas, bars, restaurants and shops. Rooms and Grounds: Accommodation is in beach front villas on the edge of the lagoon where you step straight from your private patio onto the beach, and in villas and apartments set around landscaped swimming pool plazas with adult and children’s pools. 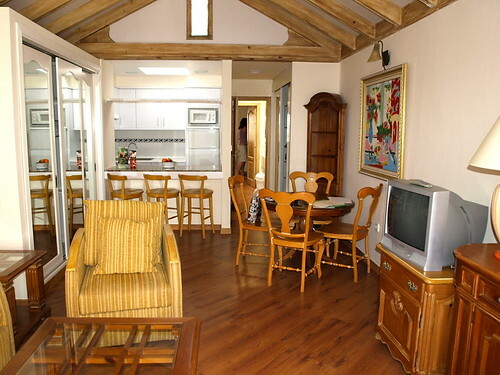 Villas and rooms are modern, spacious and bright with vaulted, beech wood ceilings, one or two bedrooms, oodles of floor and wardrobe space, private balcony, patio or terrace and fully equipped kitchens for self catering. The showers are some of the most powerful I’ve ever encountered with lashings of constant hot water. Facilities: Not content with its own lagoon, in the centre of which is the Mai Tai restaurant and heated swimming pool, the resort has six individual swimming pool plazas around which the villas and apartments are set. It’s exhausting just watching Buddy’s animation team organising activities and leading the resort’s ‘Shine On‘ anthem around the Mai Tai pool. All day you can see little ones face-painted as pirates or animals, on some treasure hunt or other in the hands of Buddy’s Club. In the evenings a full programme of entertainment keeps the El Soleil bar buzzing from the kiddies’ disco until last orders. For sports enthusiasts there are tennis courts, trial dives in the lagoon, Stand Up Paddle (SUP) on site and access to the whole gamut of land and sea sports plus there’s a fully equipped gym, children’s playground, games room and WiFi in most of the rooms (additional charge). 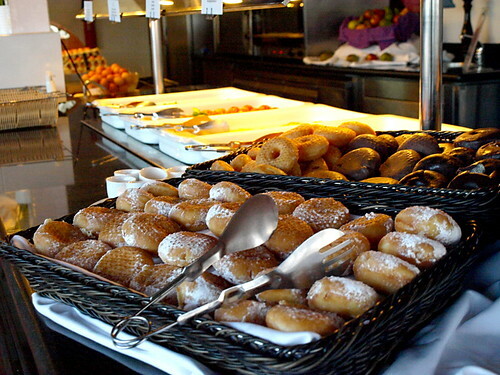 Food: The on site La Hacienda restaurant has buffet and a la carte choices for breakfast and dinner while the Mai Tai pool bar does sandwiches, snacks, salads and dangerously good pizzas during the day. There’s an on site supermarket which stocks everything for self catering and you can order take-aways from the restaurant to eat in the privacy of your own villa or terrace. 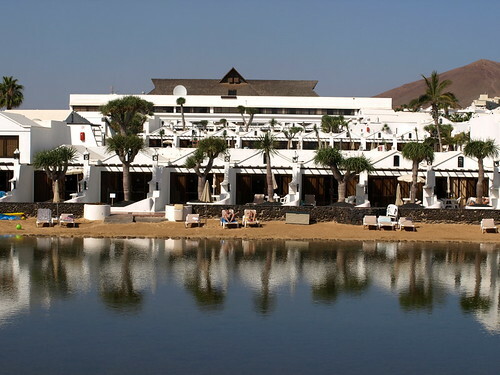 Sands Beach Resort is ideal for: Families, couples, sports enthusiasts and athletes. Andy Montgomery is a travel writer and blogger currently living amongst banana plantations in the north of Tenerife. If she’s not sipping mojitos in a Cuban bar or clinging to some vertigo-inducing outcrop by her fingernails, she’s working on her Buzztrips travel website.